Holy basil also known as ‘Tulsi’ in Hindi is a sacred plant in Hinduism culture. In India, this sacred plant is considered as a lucky token and can be seen in every house. It belongs to kingdom Plantae and ‘Lamiaceae’ family; its binomial name is “Ocimum basilicum”. Those suffering from seasonal flu should use it as raw or in tea. It also enhances your immune system thus providing resistance against ailments. It is also good for those suffering from bronchitis, cholesterol problems, heart diseases, stomach infections and many more. 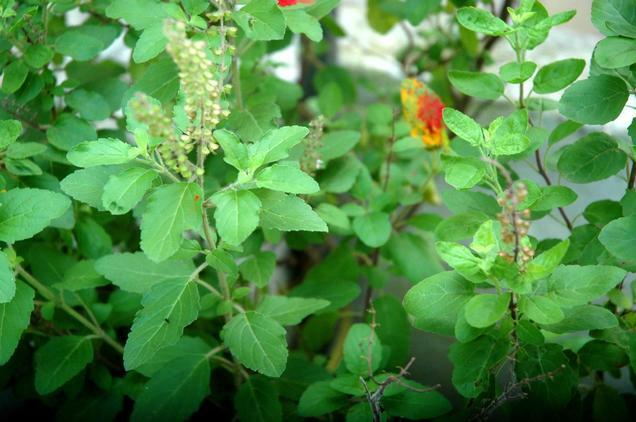 Tender leaves of Tulsi is highly beneficial; it also relieves stress and sharpens your mind. Tulsi leaves can be used in all kinds of major and minor ailments. It is simply a nectar for human lives. Mint also is known as ‘pudina’ is a cooling herb plant which is of multiple uses. In India, during summers; mint chutney is widely used for its taste and cooling effect. It keeps your stomach cool avoiding all kinds of a stomach ailment. It also heals in ‘intestinal swelling’ and constipation too. 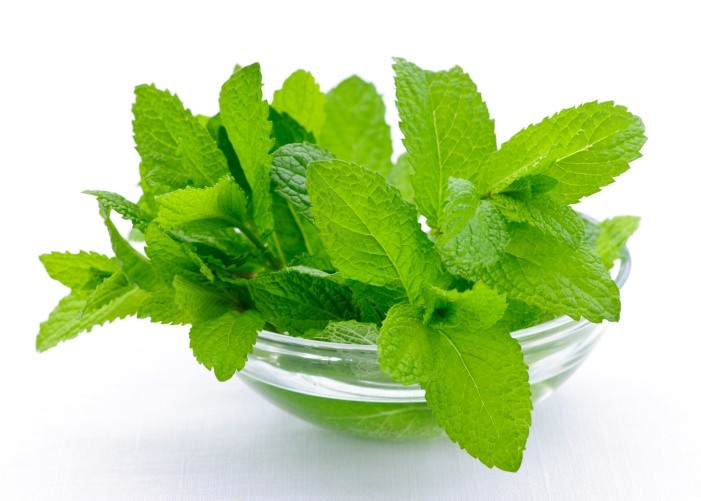 It also reduces pain and swelling; you must have noticed the extract of mint is found in pain balms and ointments. Those suffering from halitosis and oral problems should use it regularly as the mouthwash or simply in chewable form. It is an anti-depressant and the soothing effect relax your mind and soul. One must include mint; directly or indirectly in your daily diet. It is highly beneficial and cures all the dermal infections and aids in many other diseases. It is a well-known spice ingredient used as a garnishing item. It has a sweet-luscious fragrance which works like the aromatherapy. It is known as “Dhaniya Patti” in the Hindi language. These are the small dwarf plants and can be grown in gardens or pots. Coriander leaves are rich in; cineole which helps to cure arthritis, swelling and all kinds of inflammation. Coriander has the property to heal all kinds of skin problem; so can be used as a face pack or consumed on a daily basis. These cute green leaves are rich in Iron content; thus a very good ingredient for anemic patients. Coriander leaves are rich in aroma thus aids in problems related to digestive system. You can easily have it in the form of chutney, condiment in snacks, garnishing item and many more. 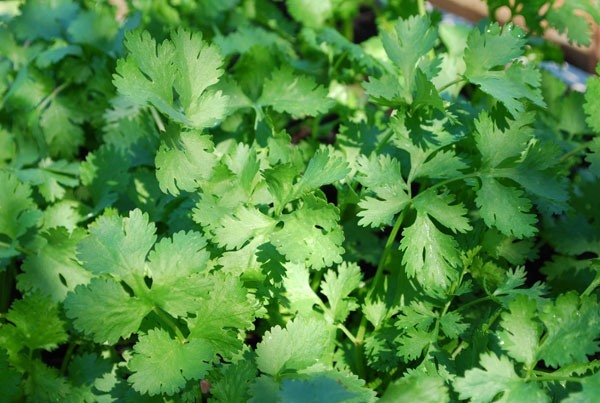 Coriander is very helpful to treat many kinds of diseases. the benefit of herbs is not limited, nature has offered us all the remedies of life! You must be conscious about these things. So, go natural and live safe! You can Ask your Query related to yoga, exercise, and Ayurveda in Our Ayurveda Forum. Wow, unknowingly I was consuming these three herbs regularly and I guess in India it’s common to use Mint and Coriander leaves in our daily diet. I use to chew 3-5 Tulsi leaves when I feel sick. Thanks for sharing the importance of these three. Even I did the same. Hope to see your feedback in some of my other posts as well.